Moving forward we find the gourmet kitchen. 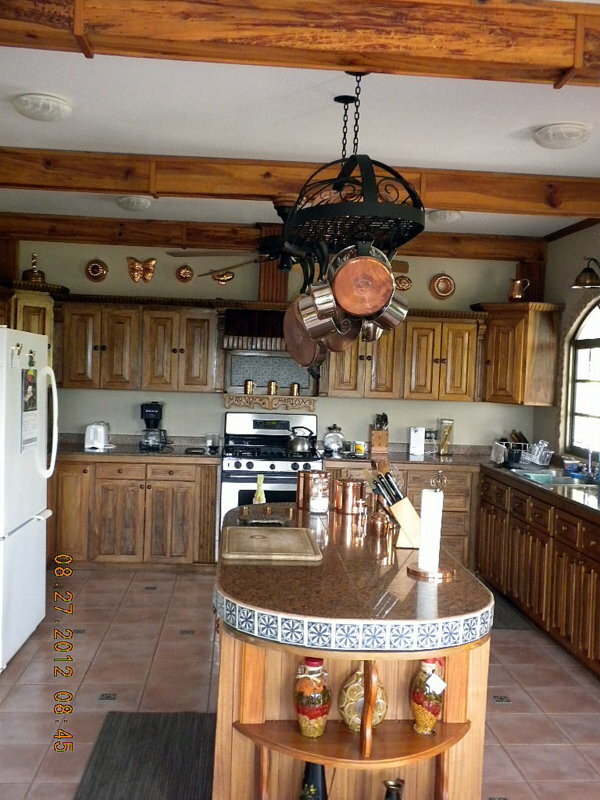 This large country kitchen features custom, hand crafted oak cabinets and drawers and is accented by oak beams. 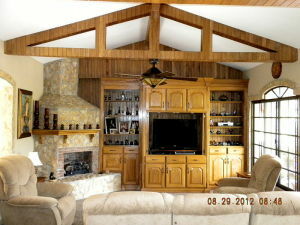 Two wrought iron Hunter Fans hang beneath two of the beams. A walk-in pantry has more than enough shelving space to store little used items on the top shelf and food items on the remaining five shelves. 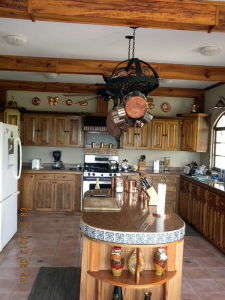 Upper level cabinets include corner carousel cupboards for ease of access to spices etc. The lower cupboards feature slide out shelving and a “hidden” trash receptacle on gliders. 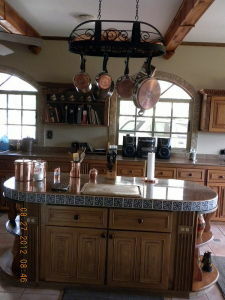 All counter tops are granite, including the center island (also with custom built storage cupboards and drawers). 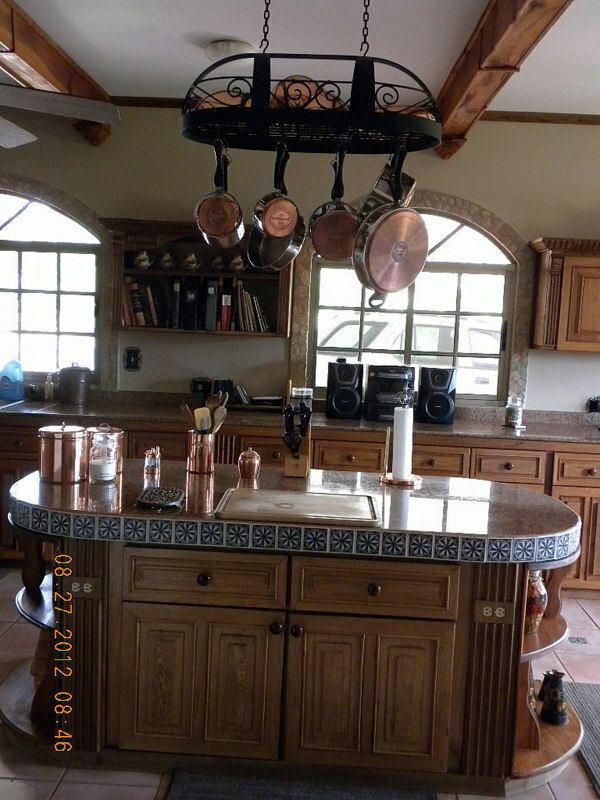 Above the center island is an artisanal, locally made, wrought iron pot rack, enabling the “chef of the day” to reach up and select whichever pan is needed for his/her current culinary creation. In addition the kitchen also boasts a wall mounted open book/display cabinet – to keep all of those cookbooks at hand. 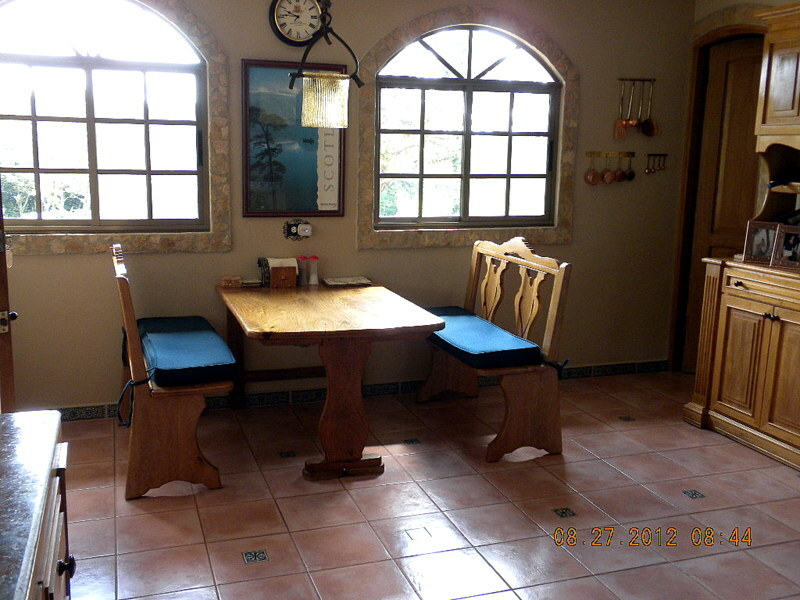 A small, informal breakfast area of hand crafted mango wood, with padded bench seats, has views through two windows down to the quebrada side of the property. Access to the kitchen from outside is via a two vehicle carport off the main driveway. At this location the driveway also incorporates an extra curved space for parking an additional two cars.